Anything related to marketing tips, strategies, best practices and more will go here. I’ve had quite a few discussions recently about email deliverability. Most people seem to be aware of the basics; don’t use giant images, avoid spammy languages, and make sure that you have SPF and DKIM set up when using an email service. While that might have been enough 10 years ago, things get trickier when we talk about email domain reputations. Email clients determine whether your message is any good based on your reputation. If you have a good reputation, you won’t have any issues getting your message through. If it’s bad, then you’re much more likely to end up in the junk folder. So, what goes into your email domain reputation? Email services like Google, Yahoo!, and many others keep track of the open rate of emails sent from your system. If you have a very low open rate, then they interpret that to mean that you’re not sending good content. After all, if their users delete your emails before even reading them, they must not care about it very much. While a low open rate isn’t the biggest factor in determining your email deliverability, it can be enough to make a difference. You can increase your open rate by sending relevant content to smaller segments rather than blasting a generic email to your whole database. People don’t really care about your organization; they care about how your organization can make an impact to them specifically. 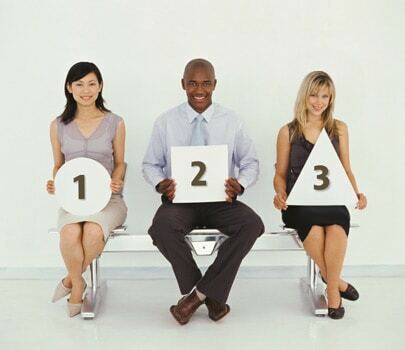 You can learn more about segmentation here. An email bounces when you try to send it to an invalid email address. Email addresses could be invalid due to them belonging to former employees, the inbox being full, or simply because the email was mistyped or made up. The more bounces you get, the more it affects your reputation. Why? Bounces indicate that you haven’t validated your email lists recently. While that’s bad for a few reasons, it can be an indicator that you’ve sent emails to a purchased list. Never send emails to a purchased list, even if the selling company promises everyone is validated and opted in! Email marketers everywhere fear the dreaded unsubscribe. When a person opts out of emails, you lose the ability to send them any kind of email communication. That makes your job of engaging and qualifying infinitely harder. Moreover, a high unsubscribe rate means that people don’t care about the content you’re sending. Like a low open rate, this tells clients they might as well send you to the junk folder. Unlike a low open rate, a high unsubscribe rate can seriously impact your email deliverability. You can avoid unsubscribes by sending relevant content to smaller segments. You should also make sure that you only send to people who have specifically opted in to your email lists. Just because they signed up for your newsletter doesn’t mean they also wanted special offers. And above all, don’t send emails to purchased lists! Now we’re getting into serious territories. If you’re getting spam complaints, then you’re either sending to people who never opted in, or you’ve made it too difficult to unsubscribe. Either way, not only will spam complaints hurt your deliverability, they can also get you blacklisted. Worst of all, if you did send an email to someone who didn’t opt in, you could face serious fines and penalties per email. You can protect yourself from spam complaints by making sure you only email people who have opted in to email marketing. Also, make sure you make the unsubscribe options clear and easy to find, and honor all opt outs in a timeline manner. And, like I said before, never send marketing emails to a purchased list! Spam traps are email addresses that are specifically set up to catch people sending emails to purchased lists. Organizations will leak these emails to list sellers. No matter what the seller says, spam traps are kept secret, and there’s no way they could vet them all. Even validation services may not protect you as the addresses are technically valid. The only way they would appear on your email list is if you bought a list. Because of this, sending to a spam trap can impact your email deliverability more than almost anything else on this list. It’s basically a smoking gun proving you sent emails to someone who didn’t opt in. Hopefully we’ve already made this point, but don’t use purchased lists! If you’re looking at this list and feel intimidated, don’t worry. Just do what you’re supposed to be doing. Send relevant content to segments, and only send emails to people who have opted in to the specific type of communication you are sending. Luckily, Lead Liaison can help you with this. If you’d like to learn more about how we protect our email marketing partners, sign up for a demo today. 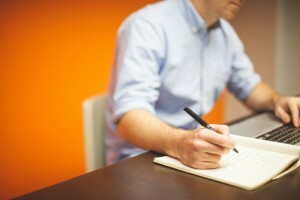 Are you thinking you should build your website on the HubSpot CMS? In this post we’ll cover five key points to consider. HubSpot refers to it’s platform to host and build your website as a COS, a Content Optimization System. On the other hand, other popular systems such as WordPress refer to their platform as a CMS, a Content Management System. HubSpot creatively uses the word “optimization” as they have mechanisms to help with SEO and personalization of content. These are not differentiating factors though – and you have to pay for the ability to personalize your content. For example, with SEO, there are readily available, and free, SEO plugins such as Yoast SEO or All in One SEO Pack, that you could easily add to your WordPress instance to start optimizing content. Regarding personalization, you can only do it if you’re using everything HubSpot. It might be wise to choose a solution to personalize content that is independent of the underlying platform. For example, Lead Liaison provides SiteEngage™, to create dynamic website content, which can be deployed on any CMS. If you talked to HubSpot, they’d pitch you on their COS having everything in it to handle marketing activities, like email marketing, social media, CTAs, and more. If you didn’t use the HubSpot CMS, and opted for something like WordPress instead, HubSpot would tell you that you’ll end up needing a bunch of other plug-ins to make your website work with marketing activities. Well, that’s not true. What you really need is a good marketing platform that can do all of that for you. Case in point, with something like Lead Liaison’s Lead Management Automation™ platform, it includes all the facilities to successfully track inbound marketing and deliver omni-channel outbound marketing, without the need to install plug-ins. Regardless of your CMS, you’ll have the flexibility to launch marketing campaigns and embed forms and CTAs into your CMS. As of this post, WordPress had 59.2% market share, followed by Joomla! with 6.9% and Drupal with 4.7% according to w3techs.com. 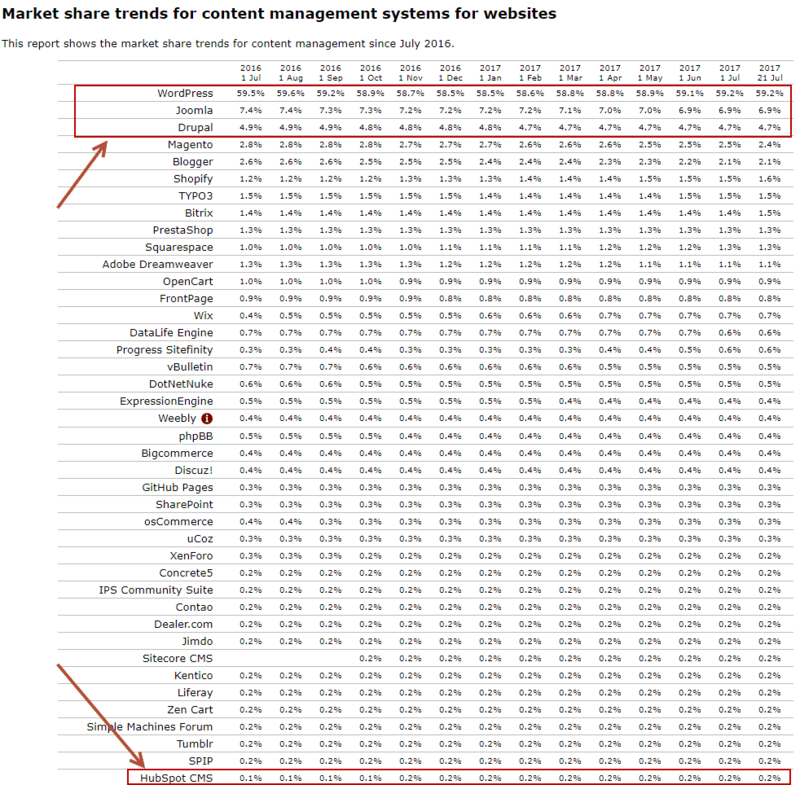 HubSpot CMS had .2%. That’s not a lot of market share that’s been gained in 11+ years (HubSpot CMS available since 2006). I’m not a betting man, but I wouldn’t put my money into a system that is not widely used, supported by a single company (not a community), has limited choices for plug-ins/integrations, and costs a lot of money. 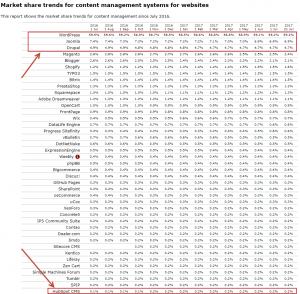 Proprietary systems such as HubSpot’s CMS are going to be expensive, and restrictive. You’ll easily end up spending 10s of thousands of dollars on a proprietary platform. The advantage of a proprietary system is that the provider, HubSpot in this case, controls the entire experience. They can make sure everything works well together. On the other hand, a system like WordPress is open source, meaning there’s no charge to use it. You might spend $40 to $60 on a theme, but you’ll have millions of plug-ins. WordPress is the CMS that runs more than 25% of all websites across the world! According to ManageWP, you’d be in good company with sites like The New York Times, National Geographic, Forbes, etc. using WordPress. The number of available choices to offered by an open source system vs. a proprietary system are overwhelming. With over 50,800 plug-ins and growing daily, 72 translations of WordPress, average of $50 per hour for developers, and thousands of themes, you’ve got choices with open source systems like WordPress. With a proprietary system, choices are limited only to what the vendor provides or the vendors community provides. With .2% market share, don’t hope for much. Both platforms are completely independent, and therefore there is no easy way to migrate from one to another. There is no simple export process to easily move your Hubspot site to WordPress or vice versa. If you are moving from Hubspot to WordPress, you’ll have to build each page again, through a copy and paste process. CSS styling will have to be duplicated to match the styling from the previous site. This can be done more easily by building a theme for WordPress that matches that of your HubSpot site. On the other hand, migrating between WordPress themes is easy! All of your data is stored in the same database. Changing the themes is as easy as making a few button clicks in the UI. The ability to choose between 1,000s of different themes is great. There’s no doubt your website will need a facelift every 5 to 10 years. Are you ready to easily make the change? I’m sure you’d be devastated if you went down the path of using the HubSpot CMS and didn’t like it. What would you do then? Probably not much, because HubSpot would own your entire site. It’s kind of like owning your own storefront, or leasing from someone else. If you had the chance to own your store front, you could do whatever you want. If you don’t, the landlord has complete control. Let’s just hope they don’t kick you out. In summary, make sure you set yourself up for maximum flexibility. Have a little diversity with your marketing, don’t put all of your eggs in a single basket, and make a good decision for the long run. https://www.leadliaison.com/wp-content/uploads/2013/04/Lead-Liaison-Logo5.png 0 0 Ryan Schefke https://www.leadliaison.com/wp-content/uploads/2013/04/Lead-Liaison-Logo5.png Ryan Schefke2017-08-01 08:00:432017-08-01 12:10:44Should You Build Your Website on the HubSpot CMS? Learn how to send handwritten letters online with these insights. If you feel like technology has eliminated the personal touch, you aren’t alone. A lot of people complain that emails and printouts have replaced handwritten letters and other personal gestures. As much as you might miss the good old days, this change actually has its benefits. Now, if you do something personal, such as send out a handwritten letter, your business will stand out. The best part is you don’t actually have to write the letter yourself. 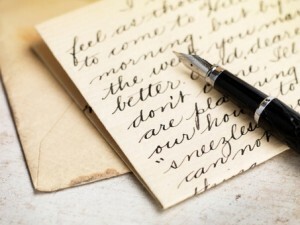 You can send handwritten letters online through a service. Just make sure the company you choose provides authentic-looking handwritten letters or you won’t win over your customer base. While some companies use a handwriting font and print the letters off, others actually handwrite them. They put pen to paper to create these letters so no one can deny the authenticity. When people see a real handwritten letter from your company, they will assume you took the time to take a piece of stationary out and write. They won’t realize that you used a service to send handwritten letters online. Savvy consumers will notice if a handwritten letter is postmarked from the wrong location. For instance, if your company is located in Florida and your handwritten letter is postmarked from California, that will stand out to someone who is observant. The person will automatically realize that you didn’t send the letter yourself, which means you will look untrustworthy. That’s why some companies make sure the postmark comes from your location. This adds another layer of authenticity to the process and helps you build trust – and win points – with your customer base. Handwritten letters are all about personalization and customization. You can take it one step further by adding your logo, headers, and other customization options to the letter. This is a great branding opportunity, and it will assure the recipient that the letter is authentic. You need to grab every branding opportunity that is available, so this is critical. Instead of lamenting about how technology has changed the world, use it to reach out to your customers with handwritten letters. You will give your customers the personal touch they crave while benefiting from the speed and ease that technology provides. When you want to thank your customers, what do you do? Do you shoot them an email that they will never receive, or do you send them a letter? If you send them a letter, do you print it off and mail it, or do you go the extra mile and handwrite it? 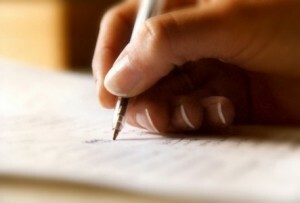 If you want to get the most out of each business thank you letter you send, handwritten letters are the way to go. They add a personal touch that you can’t get with a printed or emailed note. Get even more out of your handwritten business thank you letter by including the following components. When you’re sending a thank you letter to a specific person, include some personal information. Something as simple as what the person bought will help you connect with the reader. If you formed a relationship with the person during the sales process, take it a step further and include information about the person’s job, family, hobbies, or anything else that you know. 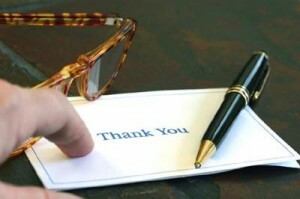 The more personal information you include, the greater the impact the business thank-you letter will have. In the business world, you want to form long-term relationships that weather any storm. Lay the groundwork for such a relationship by mentioning your hope for the future in the note. Something like, “I hope that we can continue to serve your automotive repair needs,” lets the recipient know that you will continue to be there, well after the note is read and put away. Drop-in items, such as a gift card, will make your letter even more special. Some people even send books with their thank you letters. Think about what your customer would like and, if it is reasonable, send it with the letter. If you like the idea of sending a business thank you letter to your customers but you don’t have time, utilize a service. You can have a company send handwritten thank you letters out, and some services even include drop-in items upon request. With the help of the service, you can connect with your customers in a way that you never thought possible. These new connections will help you as you forge ahead with your company. Converting visitors often requires giving away something of value. An excellent way to convert visitors, as well as maintain relationships and grow your subscriber base, is to provide a crash course. This method ties in well with making an offer when a customer tries to exit a page. Encourage the visitor to sign up for a crash course by piquing their interest. Clearly, the visitor had at least some passing interest in what you have to offer to have been on that page in the first place. There can be many reasons why a visitor might choose to exit a page, but before they go, make an offer they cannot refuse with a crash course. 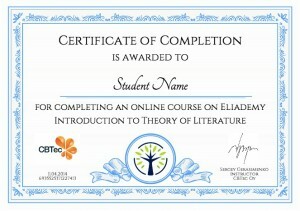 Why Offer a Crash Course? Doing so gives you the opportunity to convert your website visitors by capturing their name as well as email address. 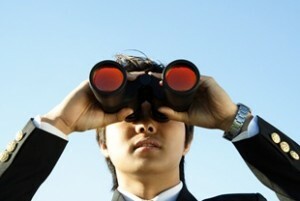 With that information, you then have the chance to market to that lead in the future. The person becomes a prospect in your system, and a part of your company’s most valuable asset – your database! In the future, you can segment your database to easily target people that took your crash course. 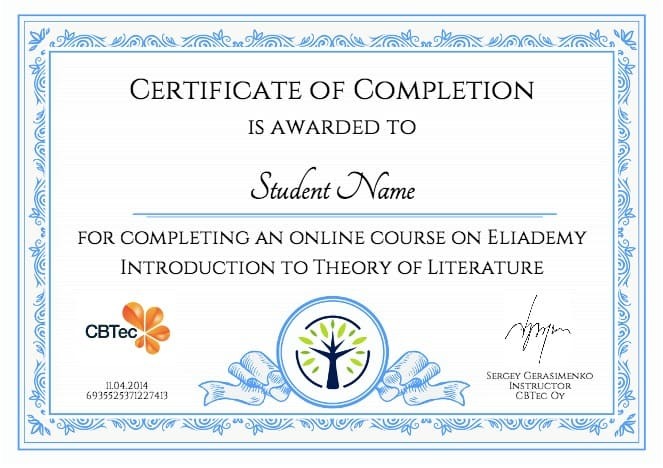 To be effective, crash courses should be brief in nature. The ideal length of time to offer a crash course is around two weeks. Make sure you do not inundate prospects with too many emails. Furthermore, all emails should be kept short and be educational in nature. Avoid the temptation to make your emails promotional and too salesy. The chief reason that many website owners do not take advantage of the opportunity to offer a crash course is that they feel they simply do not have the time to do so. Others sometimes feel intimidated at the prospect of offering even a short two-week course. Tools such as SiteEngage™ can help make this process easier through automation. By creating an automation for a series of emails that are spread out over time, you can provide your visitors with a crash course to maintain their interest and nurture the relationship, all without expending a lot of time or resources. Offering a crash course at the right time can provide you with an excellent opportunity to engage and convert visitors. All marketers know about email marketing, direct mail, etc. But, what about video marketing for converting more visitors? Doesn’t that just play videos and push information, one-way, to visitors or can it be interactive? It can be interactive, and there are ways you can use video marketing to to begin converting more visitors. 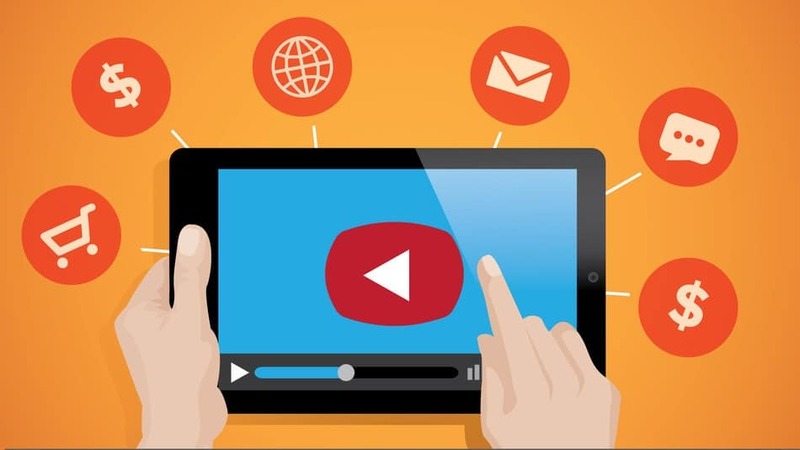 Adding video to your website is an effective way to convert more visitors into customers. Among the most frequent reasons people do not add video to their website is that producing a video can be expensive. With that said, video production does not have to blow your entire marketing budget. In fact, you might be surprised to discover that you get a quality video produced for far less than you might expect. Ask us too! We’ve done video marketing on a budget. We’ve had multiple video explainers created for less than $1,000 USD each. That’s quite a bargain. But buyer beware. Videos can cost upwards of $15,000 to $20,000 if you need a voice over, storyboard, script, and more. Another common question among business owners that consider adding video to their website is what type of video should I use to start converting more visitors. Numerous options are available, including testimonials, solution instructions, marketing, and more. The addition of videos can help to increase both conversions and sales by discussing how a product works, the benefits of using a product, and even how a product can resolve certain issues. Along with explaining how to use a product, you could also use videos to answer frequently asked questions. With the addition of a video, you can transform your site into a sales rep for your business that offers help to the leads as they browse your website. Rather than just seeing a product on your website, customers can learn about your products by watching a video. 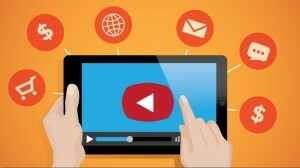 What Video Hosting Providers Convert More Visitors? You will also need to have a place to host your videos. Your choice of hosting service should not be taken lightly. YouTube might be the first place to come to mind for hosting your videos. For businesses, Wistia is often a better choice. With Wistia as the hosting service, you can benefit from lead conversion tools and analytics—tools that are not available with Vimeo or YouTube. You can also exercise complete control over both your video and viewers. For instance, you can protect your viewers from advertisements, commercials, and even potentially dangerous redirects that might ultimately send your leads to your competitors. The addition of video to your website can make it more powerful and effective, giving your leads the information they need to make a more informed decision.